SUSTAINABLE, ENJOYABLE & ATTAINABLE THAI FOOD. Aloy Modern Thai weds the culinary experience of modern Thailand and Colorado with locally sourced, slow-cooked farm-to-table Thai cuisine crafted by some of Bangkok's best chefs. We welcome you to come learn, play, explore and eat some of the best Thai food in Denver. Sustainable: We believe that sustainability leads to a better world, better communities and better food. Enjoyable: We focus on ensuring an enjoyable whole-customer experience for our guests. Attainable: At Aloy Modern Thai, we believe that taking the small steps to enhance our foods, our community and our world allow us to achieve what we once thought impossible. For a truly unique, fresh and healthy culinary experience, come to our Thai restaurant where you can sip tea while browsing our delectable menu of the best Thai food in Denver. Are you in the market for a delicious Thai catering service? You are in luck! Aloy Modern Thai is proud to offer customers an affordable and healthy catering alternative throughout the Denver metro area. Call our restaurant today to learn more! We believe that the foundations of happiness are found in healthy, sustainable communities in Denver. That is why we work with local nonprofits and charities to strengthen our communities and the people who are a part of them. Come join our experience and taste Asian food in a Thai restaurant near you that will keep you coming back again and again. Visit our sister restaurant Aloy Thai in Boulder. 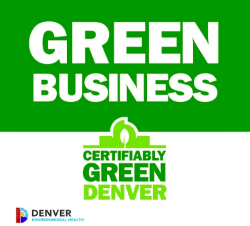 Our Thai restaurants work with the best responsible local farmers and producers to serve natural, fresh Colorado produce and meats, because the sustainability of our food and your health is our top concern.